California Central Vacuum is Kern County and the surrounding area's most trusted central vacuum company. After a successful career in multiple areas of the residential building trade, we made the switch to focus solely on central vacuums in 1991. The rest of the story is one of complete success. 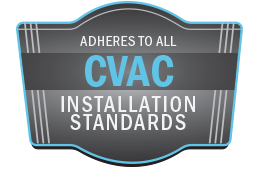 Professional installations in thousands of homes while keeping customer service the highest priority, has made California Central Vacuum the preferred company to call for installation, service, parts, and accessories for any central vacuum system. At California Central Vacuum, we install the best and service the rest. The American-made MD Manufacturing Central Vacuum lines are second to none, and every home can have one, no matter if it is new construction or an existing home. We have the expertise, products, and solutions to fit most homes and budgets. Call us or come and see us if you live nearby. We also offer free in-home estimates! Let us show you how installing the right central vacuum system can enrich your life! California Central Vacuum, your one-stop source for all your central vacuum needs!